(CNN) Democratic Rep. Keith Ellison won his bid to be Minnesota’s next attorney general despite facing accusations of abuse. Ellison announced in June that he would withdraw his bid for re-election to Congress and instead campaign for Minnesota’s attorney general. In August, the son of Ellison’s former girlfriend Karen Monahan detailed allegations of physical abuse by the congressman in a Facebook post, saying that he discovered a video on his mother’s computer in 2017 that allegedly showed Ellison attempting to drag Monahan off a bed while cursing at her. 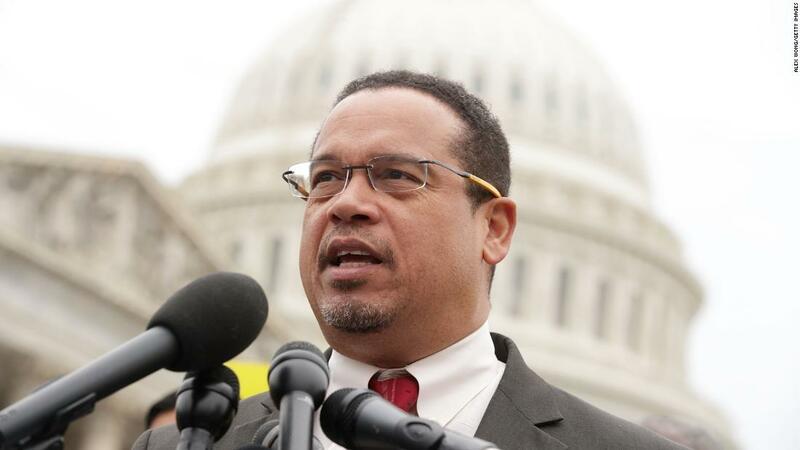 Days later after the allegation surfaced, Ellison clinched the Democratic-Farmer-Labor Party’s nomination for Minnesota attorney general. Ellison, who is one of two Muslims in Congress, also came under scrutiny for his past ties to the Nation of Islam and defense of its controversial leader, Louis Farrakhan, who has espoused bigotry. Ellison publicly renounced his association with the Nation of Islam in 2006 after it became an issue during his run for Congress, when local Republican bloggers began publishing his old law school columns and photos connecting him to the organization. “I have long since distanced myself from and rejected the Nation of Islam due to its propagation of bigoted and anti-Semitic ideas and statements, as well as other issues,” Ellison wrote at the time. Tuesday’s victory positions Ellison, the deputy chairman of the Democratic National Committee, to fight President Donald Trump in court. Successfully defended my Master’s Thesis. I’m going to graduate!